Made from tough UV stable PVC, the innovative Culti Cave is the flexible, portable and space efficient way to store your potted plants during the winter. The Culti Cave allows light through during the day and protects your potted plants from strong winds and cold frosts, the two main culprits that plants. Maximise the use of your Culti Cave during the summertime, when your bonsai are outside enjoying the fresh air, by growing your own fruit, flowers and vegetables. 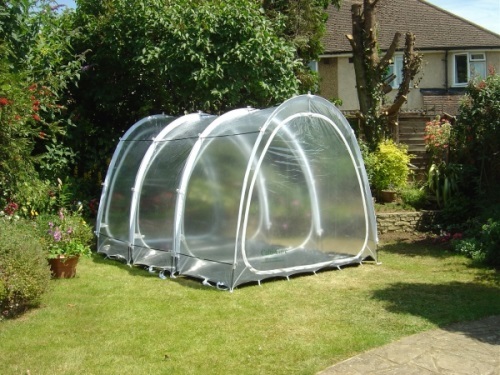 • It is significantly bigger, over 4 times the volume of most on the market, enabling large plants to be stored and allowing you quick, easy access. • Ideal for growing large plants and flowers – also tomatoes, cucumbers, melons, strawberries, squashes, etc. 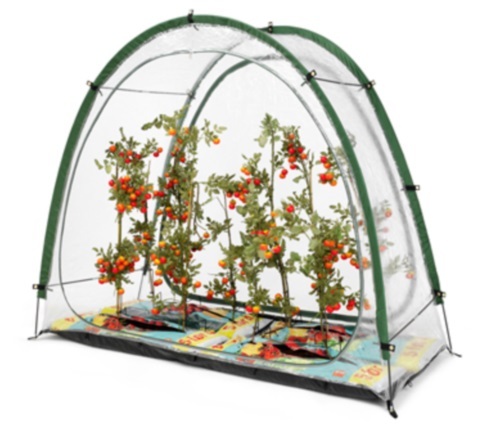 • Perfect for growing plants in grow bags, designed to accommodate four standard growbags. 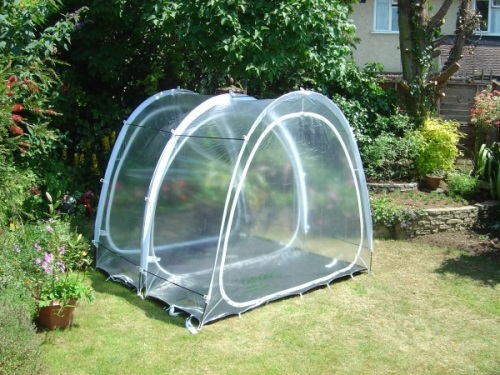 • Sewn-in groundsheet to stop slugs, insects and other garden pests getting in, also promotes a more humid growing atmosphere. • Mesh panel in the groundsheet to allow drainage of excess water. • Quick and easy to install - either wall-mounted or freestanding. • Easy to ventilate on hot days by either partially or wholly unzipping the front and/or rear panels. • Zipped door panels on both sides for quick and easy access. 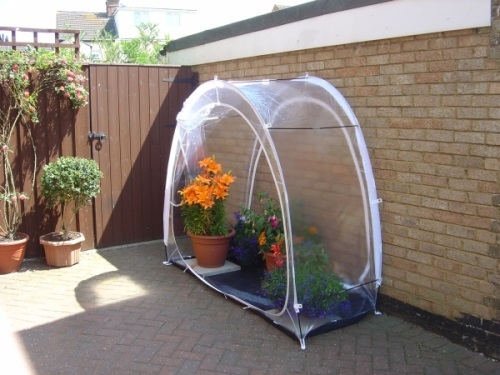 • Comes complete with additional mesh door panel to maximise ventilation while keeping out pests. • Modular - two or more units may be zipped together to extend the size. 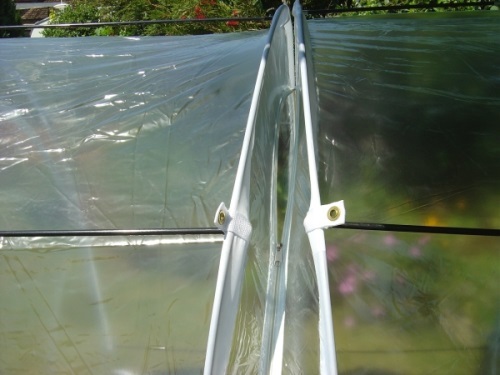 Unlike a traditional greenhouse, Culti Cave is easy to put up and take down. The Culti Cave packs away to a mere 53cm x 20cm x 10cm but when erected is 2m wide, 1.67m high and 0.8m deep. And if that is not big enough, the Culti Cave has a door at the rear which can be unzipped allowing you to connect more units. That’s right, you can make this modular solution as large or small as you want!! You will earn 49 points which is the equivalent of €4.90 when ordering this product.